A stand up desk chair is built with productivity and health in mind. Posture is a big part of a trader’s physical health. Physical health is directly joined with mental health and with that the ability to plan trades. While trading at a standing desk you need to keep risk management in mind, this is nearly impossible to do if your body is distracting you with pain. Using a quality chair can subside many of your pains. Stand up desk chairs, also known as drafting chairs, to come in many sizes and shapes here we will discuss a few. Breaking down the term, a stand up desk chair is exactly what it sounds like. 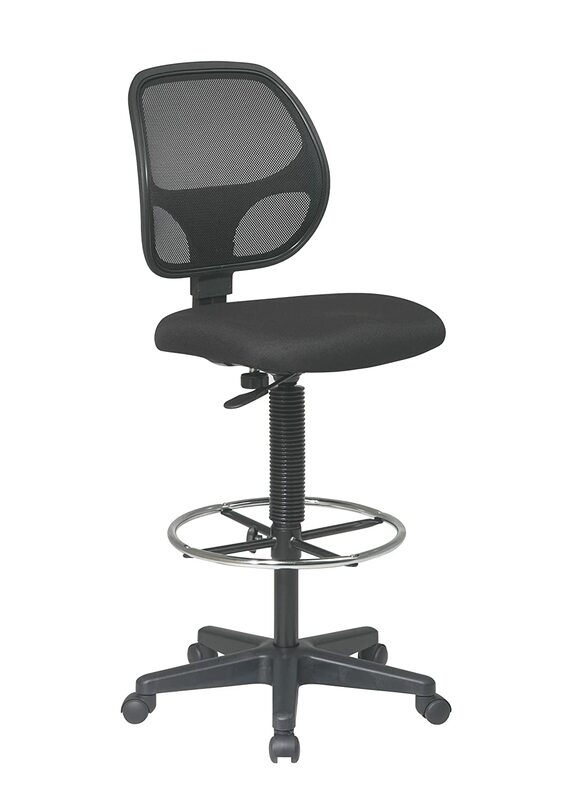 A purpose built type of chair meant to be used with elevated workstations. Large companies like Apple and Google have implemented a stand up desk in their setups to improve productivity and employee happiness. A proper drafting chair will be adjustable to your height so keep that in your thoughts when shopping. also you layout will dictate what style chair you should go with. These chairs come in a standard “rolling chair” format or a “pole style” chair. Many of these chairs look like a standard office chair but have an extension in the lift system and a footrest. Ranging in price from $120 to over $1,000, we’ll keep the prices a bit more moderate but your options are out there. We have focused on a combination of functionality, features, style and price. This is where the Office Star Mesh Back drafting chair will come to your aid. 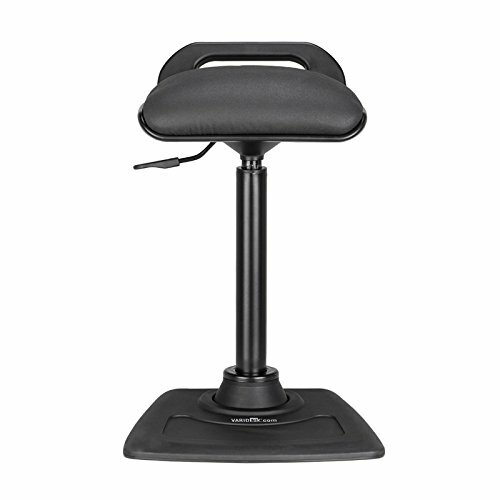 Starting out around $128 on Amazon, it is comparable to your normal office chair yet gives you the ability to sit comfortably at your lifted desk. You may think sitting at your standing desk would defeat the purpose of the desk, having the elevated chair allows for leg room to uncurl your knees and get the blood flowing. This chairs main features are the breathable mesh back that allows for good air flow. Sporting an adjustable footrest for tall or shorter traders to stay in their perfect comfort zone. The chair has a max extension to 33.75 inches with a compressed height of 24.25. Overall this may not be the fanciest stand-up desk chair but it will get the job done and not break the bank. With comfort in mind, you can spend hours charting out your next ticker or reviewing over your favorite stock market courses. Having a smaller than ideal work space can be a hassle. Then to move around a large chair can make the experience immensely more unpleasant. This next chair is for the trader in a restricted work area but still wants to keep their body awake. The Varichair bridges the gap between chair and stool. A soft top with low back support to help promote good posture. The Varichair is a simple addition to any trading setup. A similar value point is there is no assemble as it comes fully assembled. This drafting chair comes with a weighted base so tipping it over is unlikely. Currently, it comes in black only. Another awesome feature is the airlift system to extend the chair to 32in tall. Coming in at $195 the Varichair is not the cheapest but you are paying for versatility and compactness. The company Herman Miller has always held pride in their quality and prestige. With a long history in both quality and new ideas, this drafting chair is no exception. An eco-friendly chair made from 90% or more recycled material. 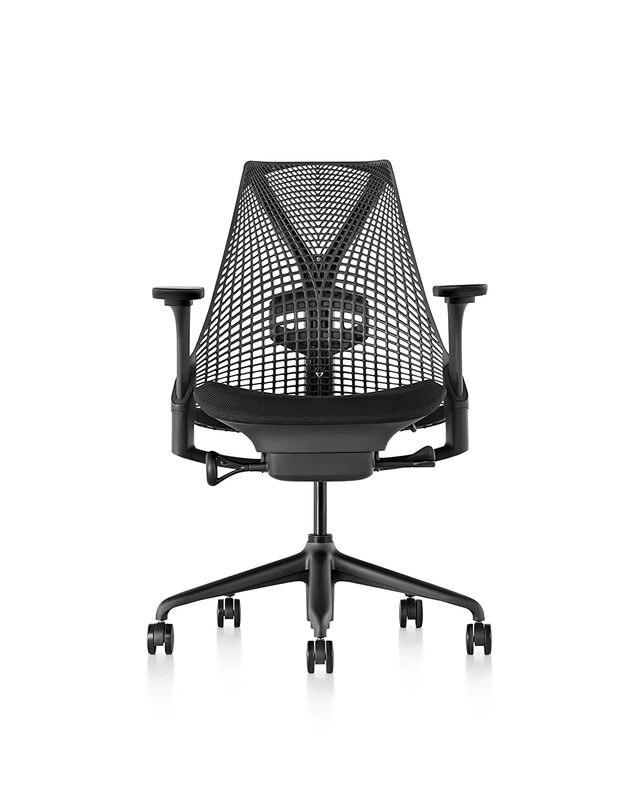 The Herman Miller Sayl chair is your top of the line chair. Luxury chairs designed to adjust to your body and yours alone. No two people have the same body so why buy a one size fits all chair. This drafting chair is adjustable in all the right places. With a 3D suspension style back every part of your back is well supported. Having adjustable arms to go up and down as well as tilt. Just below it has an adjustable footrest. Coming in at $700 the Herman Miller Sayl chair commands a price. For that price you are getting a custom to you set up and a quality warranty. This elegant styling will make you smile every time you sit down to trade. Herman Miller if you can afford the price tag is well worth the money. Not everyone wants the top of the line sitting implements or something they will be leaning on rather than sitting. 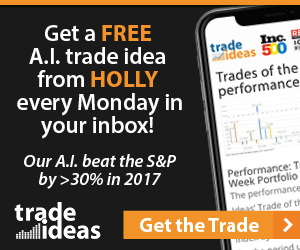 We are all unique in how we trade with our setups being just a unique. Yet no trader should overlook their health. A healthy body will promote a healthy mind. So finding the right stand up chair to fit your style with be well worth the time and effort. A big suggestion is to make a small list of the chairs you like then go out and try them. Now as with most things they will not tell their full worth until many hours into the working day. But a simple trip to the store will give you a great idea of what you are getting for your money. Risk management is crucial to our work so stop being Risky and take the first steps to long-term trading and manage your health.